The recommended ELISA Kit will likely detect the antigen better in the approved sample types than the available alternatives. 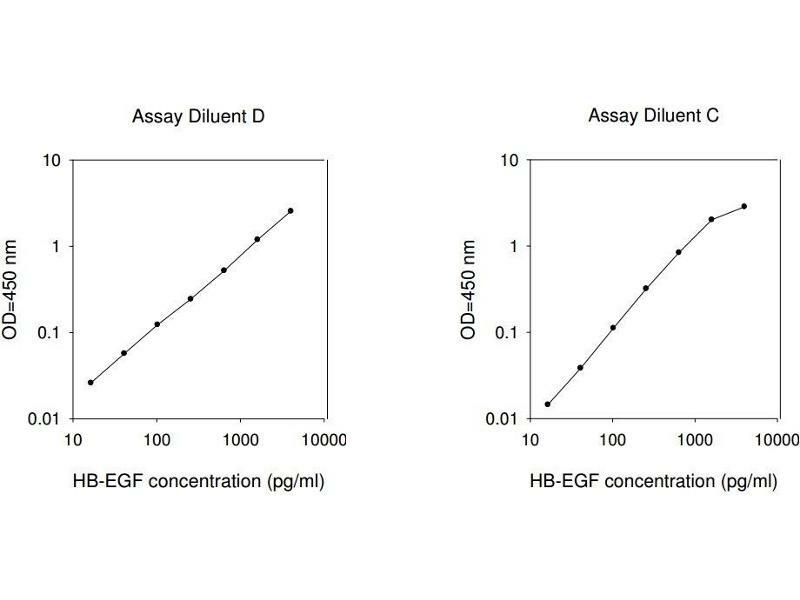 The recommended ELISA Kit will likely detect the antigen in question with higher specificity in approved samples than the available alternatives. The results will be likely more reproducible, with high inter- or intra-assay CV and Recovery (for values within the std curve) than the available alternatives. The recommended assay will likely function better with approved sample types, and will not suffer from undue matrix interference than the available alternatives. Picking recommended ELISA Kits will save you time - yet all 68 products covered by our Money Back Guarantee! 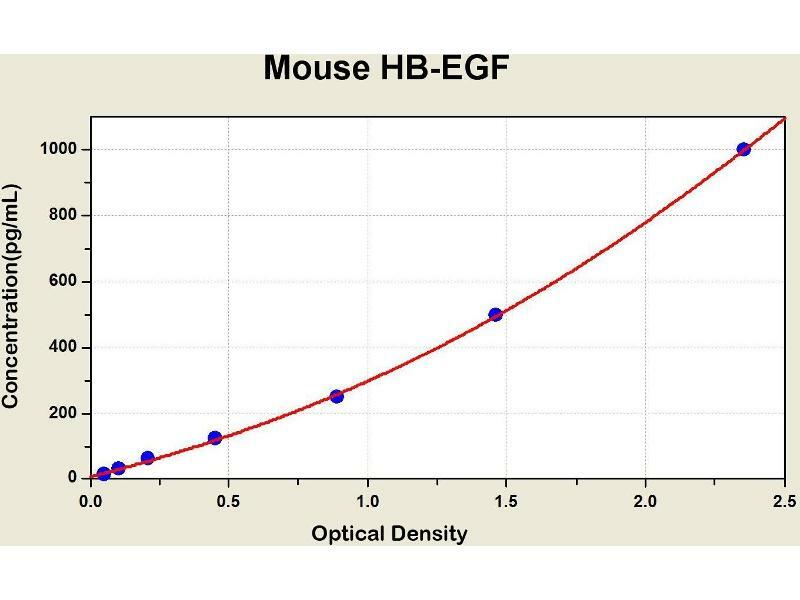 Diagramm of the ELISA kit to detect Mouse HB-EGFwith the optical density on the x-axis and the concentration on the y-axis. 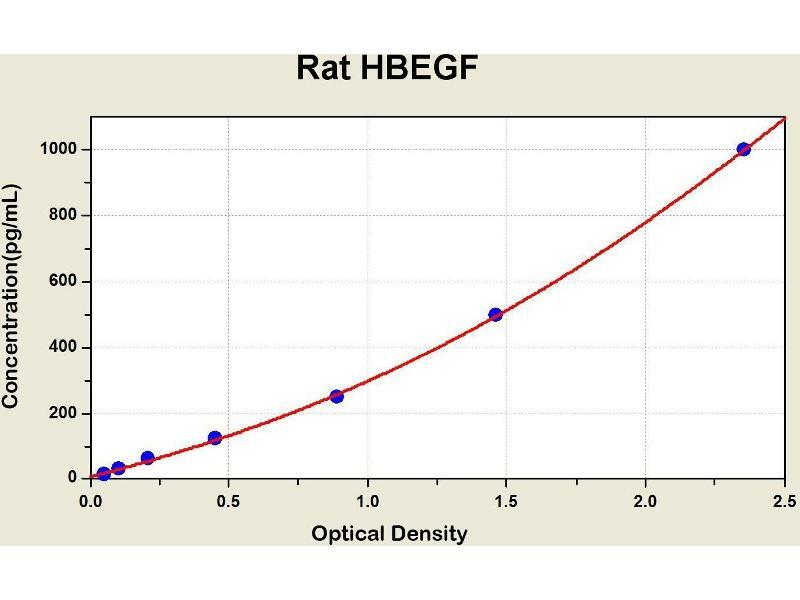 Diagramm of the ELISA kit to detect Rat HBEGFwith the optical density on the x-axis and the concentration on the y-axis. 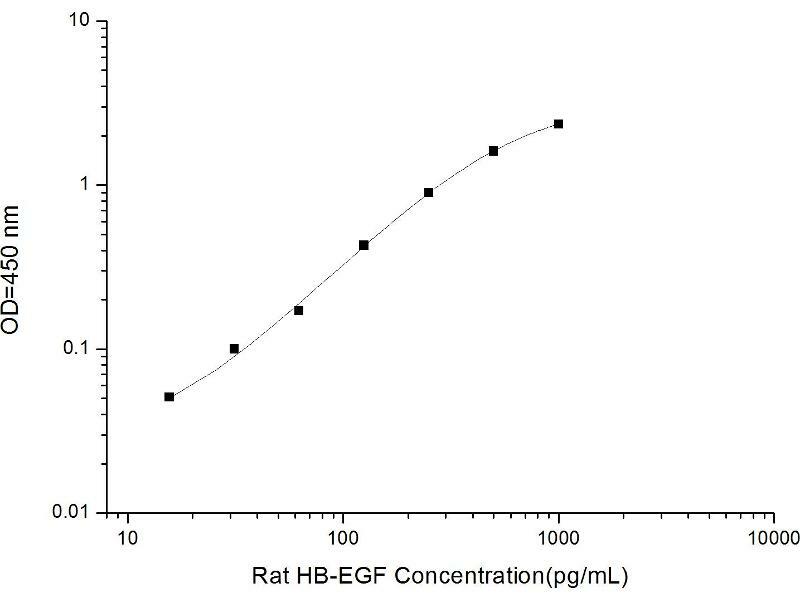 Growth factor that mediates its effects via EGFR, ERBB2 and ERBB4. Required for normal cardiac valve formation and normal heart function. Promotes smooth muscle cell proliferation. May be involved in macrophage-mediated cellular proliferation. It is mitogenic for fibroblasts, but not endothelial cells. 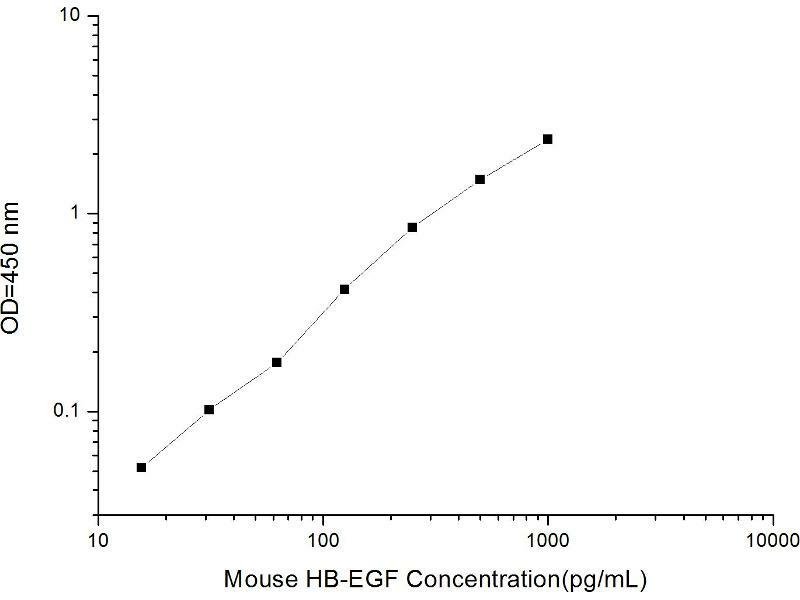 It is able to bind EGF receptor/EGFR with higher affinity than EGF itself and is a far more potent mitogen for smooth muscle cells than EGF. Also acts as a diphtheria toxin receptor.